This is a riveting story of a woman that began life with all odds against her. Born addicted to drugs to a mother that found home in the streets; prostituting and suffering substance abuse. Her father was absentee as well, and ultimately was incarcerated with a 75 year sentence. Left abandoned, Helen’s elderly grandparents took her in and raised her as their own. She was diagnosed as mentally retarded along with a host of other ailments, including impaired vision, uneven leg growth, and a speech impediment. She had bad relationships, and made bad choices that landed her in front of courtroom judges. Helen’s story will take you on a journey of abuse and restoration. She will provide personal success tips of how she made it through and how you can to, if you chose to Believe One More Time. She succeeded throughout her professional career and her amazing tenure as a top network marketer in a Latino-based direct sales company that was new to the American Marketplace in 2008. She was able to touch countless lives, produced 33 first-time millionaires in less that one year. She and her team are credited with generating over 100 million dollars in sales within the first 24 months, and Helen earned her first million within her first year with the network marketing industry. Her popularity and appeal to passionate “success seekers” landed her a Starr role on the popular BET-owned, Centric Network reality show Amateur Millionaires. Helen’s story resonated with so many. Her successes are lofty in spite of her dark past. 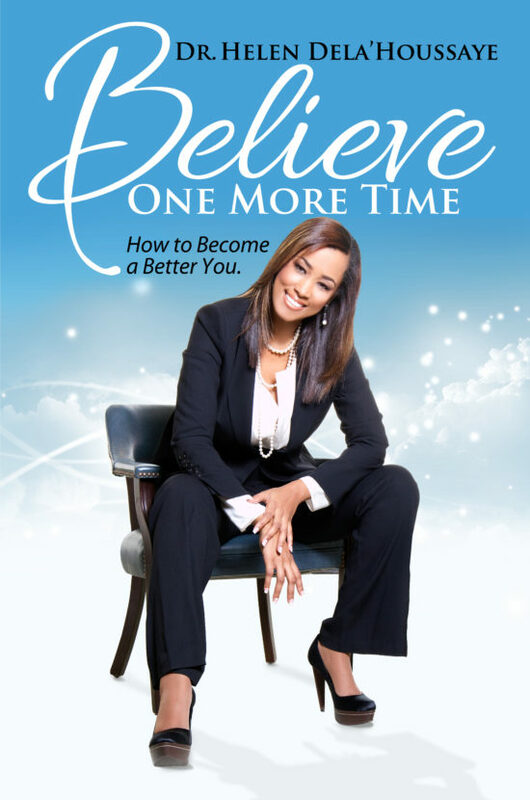 Believe One More Time aims to teach how you can look beyond the most overwhelming of circumstances to develop your purpose, live with passion, and attain goals that others would say are impossible. Dr. Helen Dela’houssaye, Ph.D. resides in Houston, Texas with her family. She is a sought after transformational speaker and life coach, financial business strategist who has many notable awards and accolades to her credit. She is lovingly known has the Marketplace Minister and strives to deliver real strategies for business and personal growth. Her faith, tenacity, passion, and dedication to the success of others is what motivates Dr. Helen to share her story of tragedy to triumph. In hopes that it catapults one to live their dreams ON and WITH purpose unapologetically. Her daily mantra is “See it... Believe it... And you shall Receive it”!